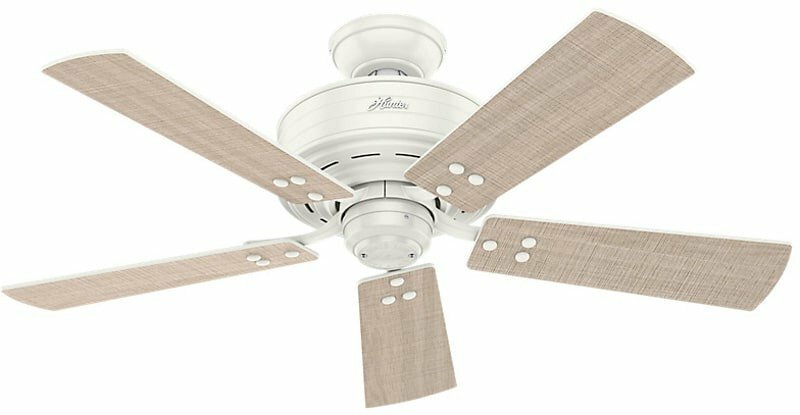 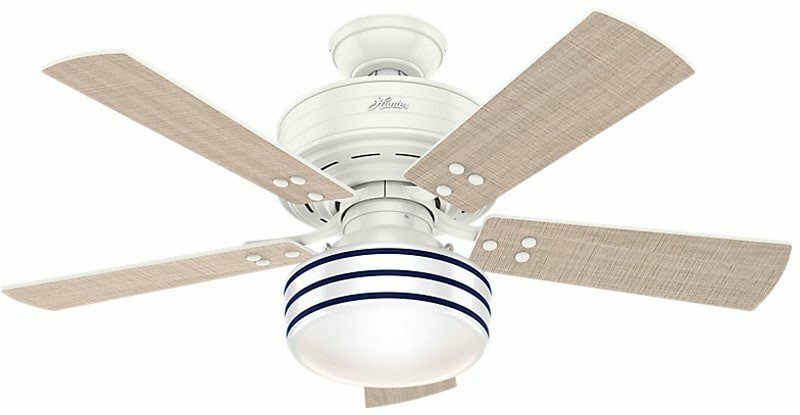 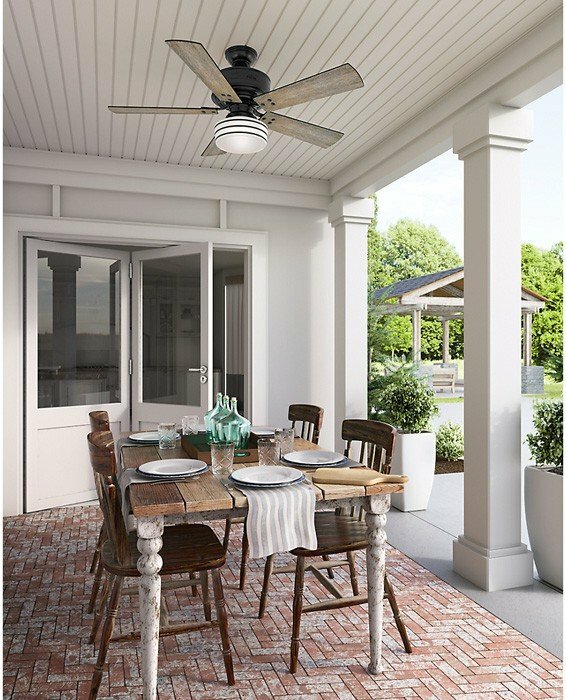 The Cedar Key rustic ceiling fan is inspired by farmhouse design elements, from the lines in the housing reminiscent of shiplap to the rustic finishes on the reversible blades. 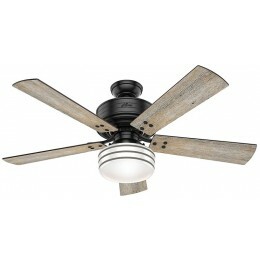 The star of this ceiling fan is the hand painted globe, a true nod to the expert craftsmanship at Hunter Fan Company. Go for a coastal look with the white finish and navy striped glass or complement your farmhouse decor with the matte black finish and grey glass. 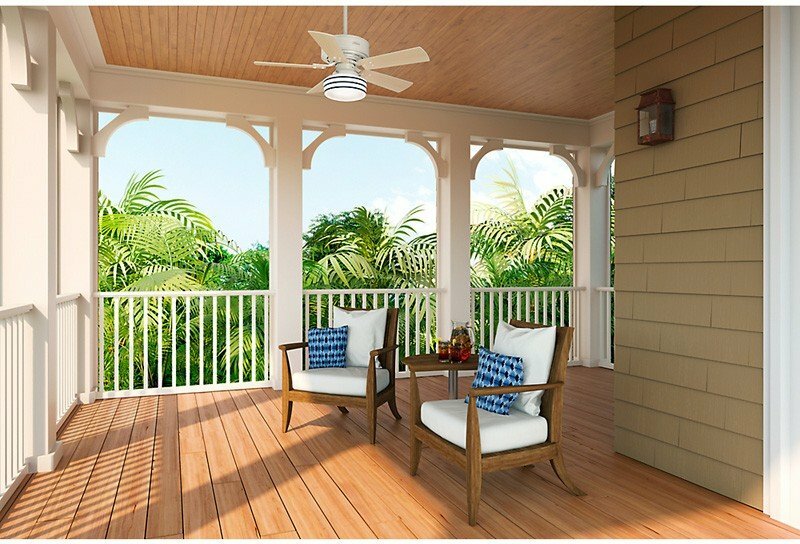 The Cedar Key collection features a powerful four speed motor for exceptional airflow as well as a pre installed remote control receiver and snap and lock light fixture for easy installation. 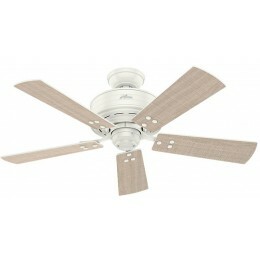 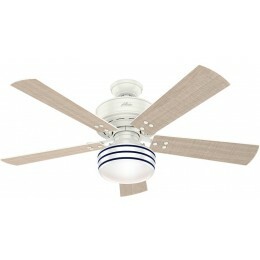 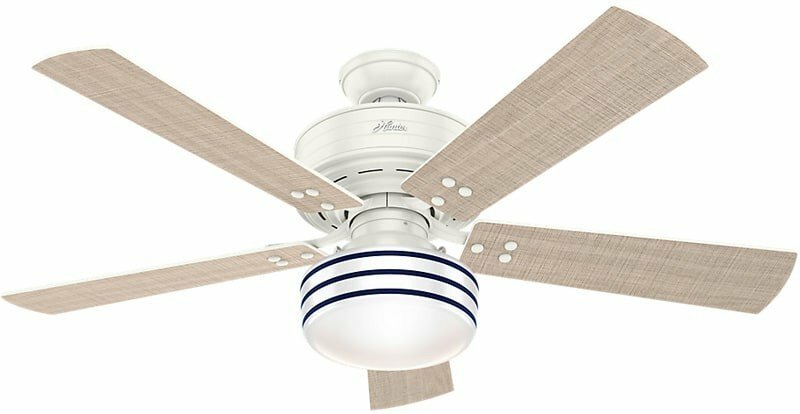 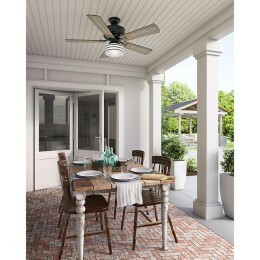 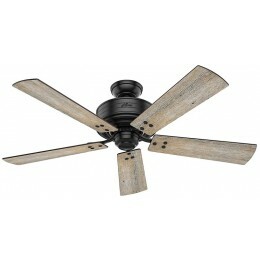 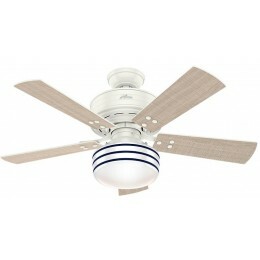 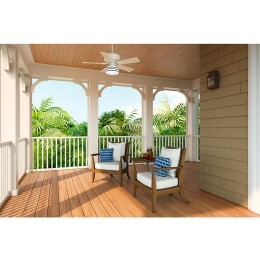 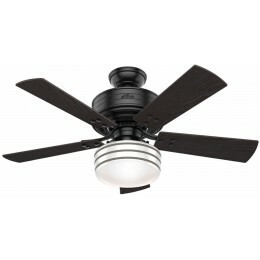 This outdoor ceiling fan is damp rated for use in covered porches and patios as well as indoors. 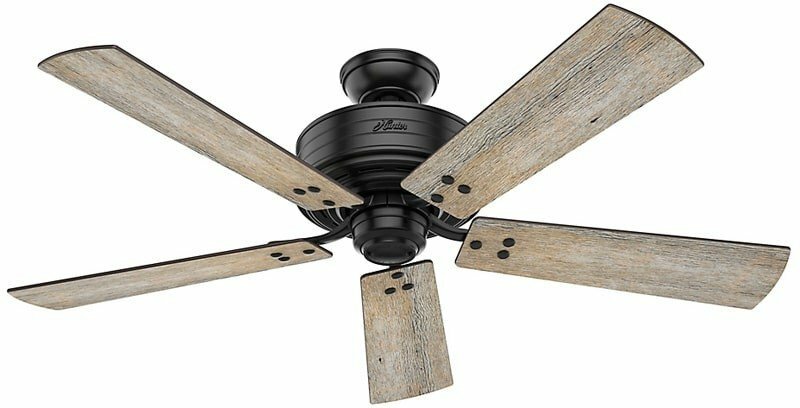 Shop the various sizes and finishes to customize the look of your room while maintaining a consistent style throughout your home.